October is the perfect month to talk about sweets – with Halloween candy and pumpkin snacks galore, there’s plenty of sugar to go around! But outside of the fall offerings around Walt Disney World Resort, our chefs are always hard at work creating more yummy treats for you. So what’s in store this month? First up is this ADORABLE cone treat at Magic Kingdom Park. 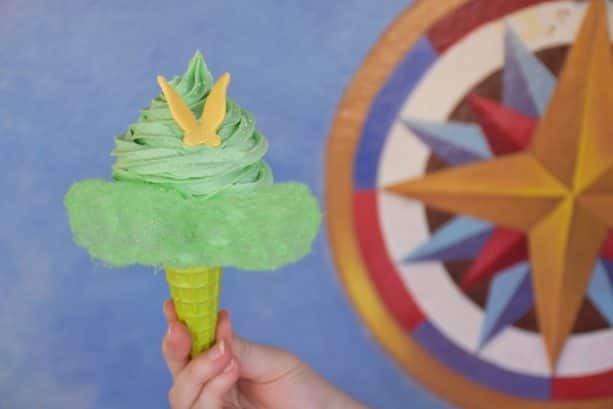 Starting on Nov. 1, fly on over to Storybook Treats to take a bite out of Tink’s Pixie-Dusted Cone! All it takes is faith, trust, and a sweet tooth to enjoy this tasty treat made with lime soft-serve and topped with white chocolate “wings,” cotton candy, and just a little bit of Pixie Dust. Speaking of cotton candy, did you know that there’s now PURPLE WALL COTTON CANDY? That’s right! 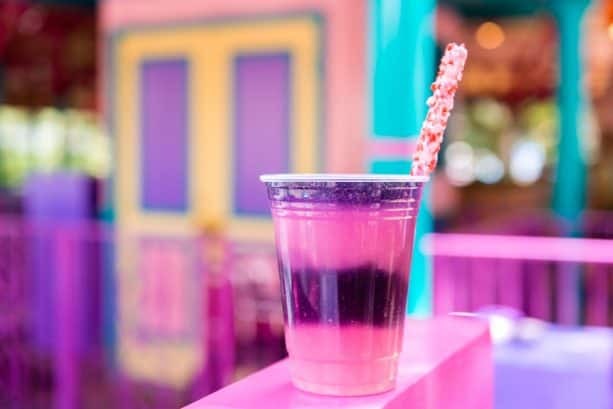 Served at a cart near the purple wall in Tomorrowland, this mixed berry-flavored cotton candy is tasty AND it’ll be the perfect edible accessory for all of your cute pics! 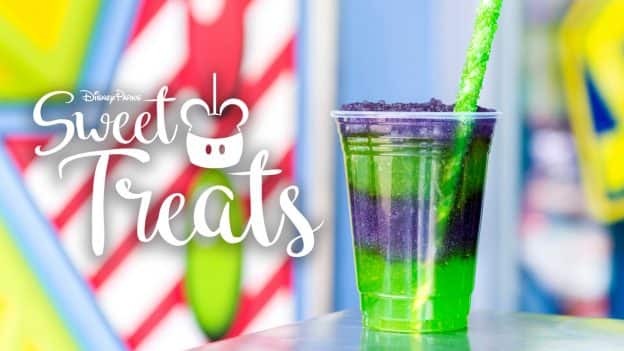 Starting November 7, we’ve got a couple new tasty slushes coming to Magic Kingdom Park as well. The first will be blasting off to infinity and beyond at The Lunching Pad in Tomorrowland! 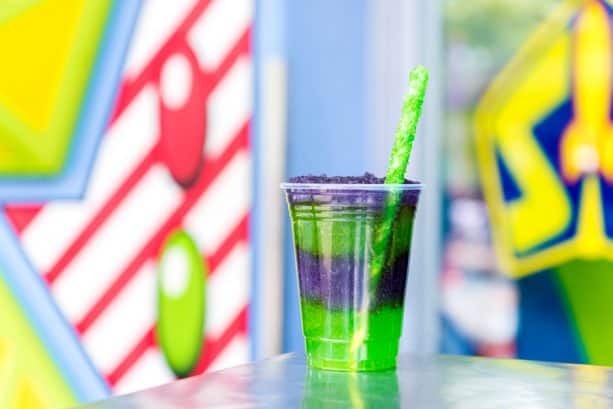 The Space Ranger Slush has layers of purple grape and green apple slush and comes with a green rock candy straw. The Wonderland Slush will also be available starting November 7 at Cheshire Café. This one comes with layers of purple grape and pink raspberry lemonade slush and a pink rock candy straw. Can’t get enough of the Cheshire Cat? Well I have good news! 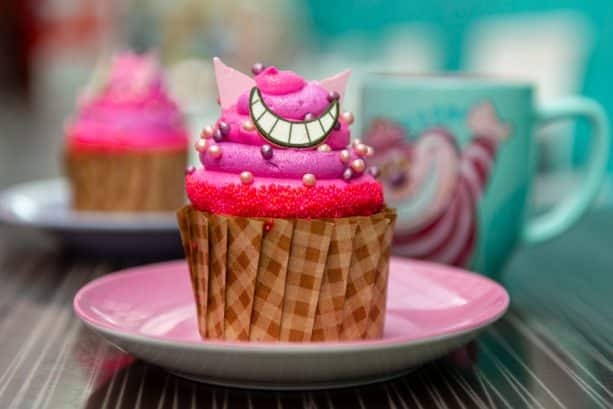 The Cupcake of the Month at Disney’s All-Star Music Resort is a Cheshire Cat Cupcake! This fun vanilla cupcake is filled with pink and purple crispy pearls and topped with strawberry buttercream, chocolate ears, and a chocolate smile. It will appear at Intermission Food Court during the month of November. Craving caramel apple? 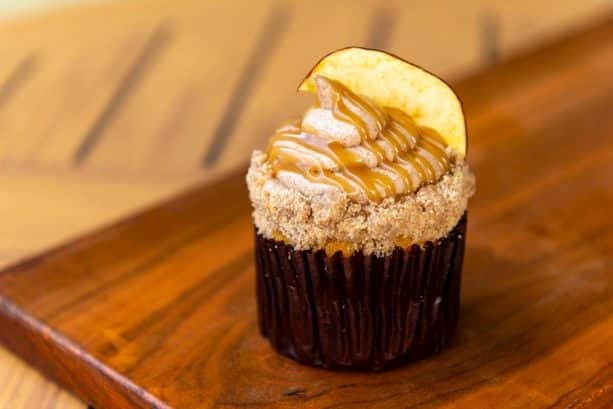 Try out the Caramel Apple Cupcake at Flame Tree Barbecue at Disney’s Animal Kingdom Theme Park! It’s a vanilla cupcake with apple pie filling topped with caramel buttercream, a salted caramel drizzle, streusel crumbs, and a house-made apple chip. 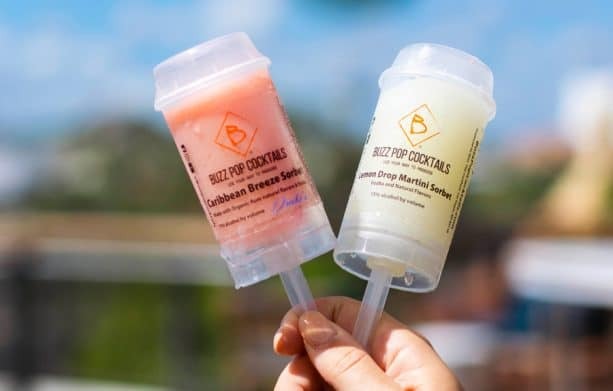 Finally, at Disney Springs I’ve got the perfect refreshing treat for a hot Florida day: these Buzz Pop Cocktails available at Paddlefish! 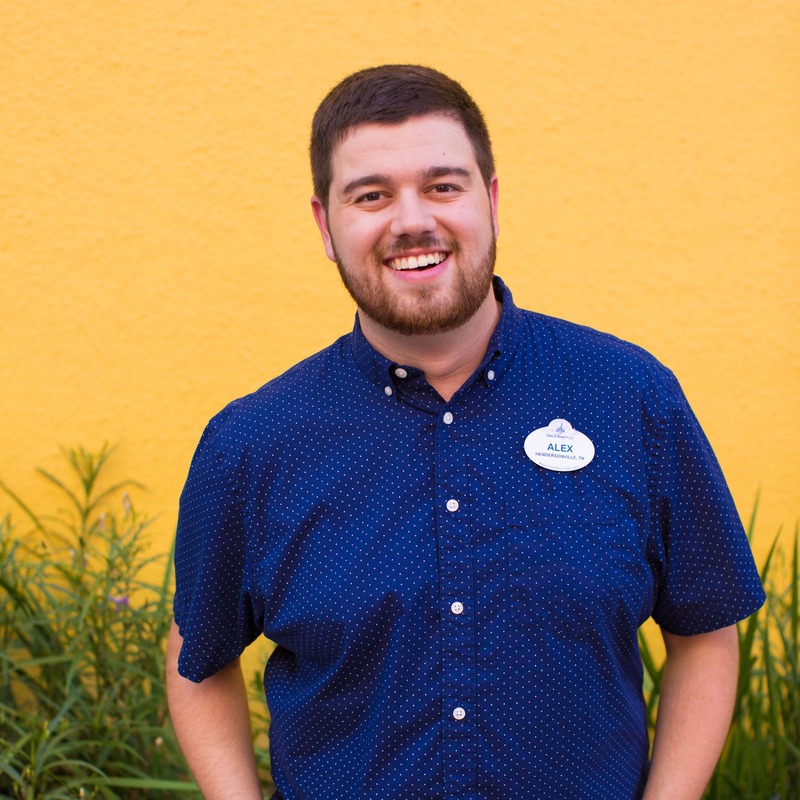 Guests 21 and over can try one of the many fruity flavors such as Caribbean Breeze Sorbet, Lemon Drop Martini Sorbet, Blueberry Mania Sorbet, and more. Are you as excited for these sweet treats as I am? Come on out and taste them for yourselves! 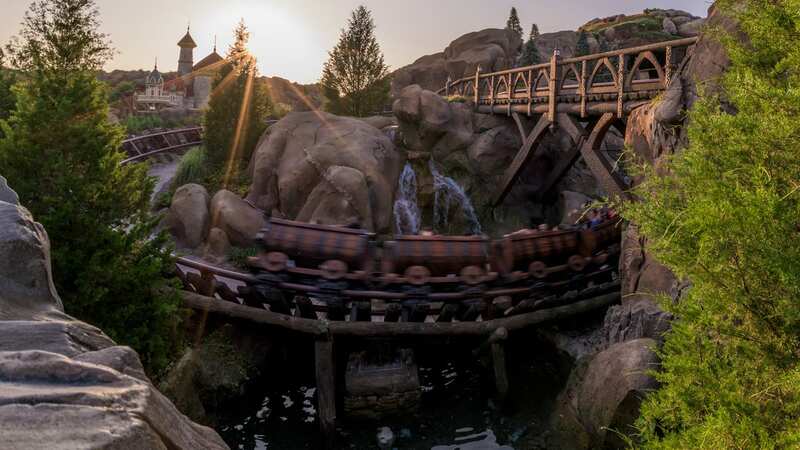 For more info and full menus for the locations listed above, visit the Walt Disney World Resort website. Oh! These look awesome. Definitely will try them. Oh looks awesome, how long will those be available?